119 cm 69000 Ft Egyeztetés szükséges! 124 cm 69000 Ft Egyeztetés szükséges! 135 cm 69000 Ft Egyeztetés szükséges! The Sprite is a great kids board that offers performance at an affordable price. 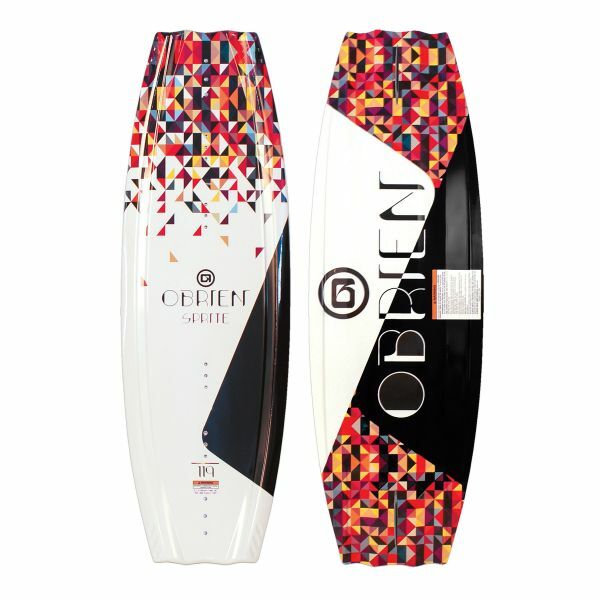 Its Continuous Rocker keeps the board stable on the water and predictable off the wake. The Sprite also uses dual channels at the tip and tail and center mounted Flank Fins to ensure predictable tracking and easy edging. To top it off, its extra buoyant foam core makes getting up and out of the water as effortless as can be. These features make the Sprite a great first board for kids just getting into the sport or the perfect board to keep on your boat for any friends who want to try their hand at wakeboarding. Length 119cm / 46.9" 124cm / 48.8"
Width 38.1cm / 15" 40cm / 15.75"